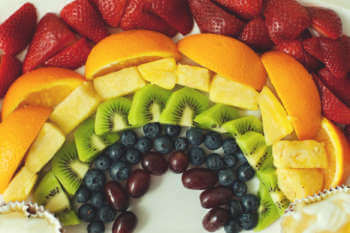 An easy Thanksgiving Fruit Tray that will impress your dinner guests! 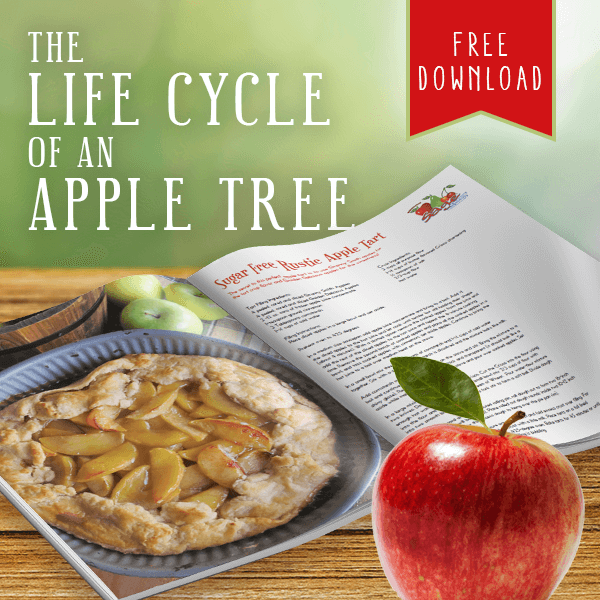 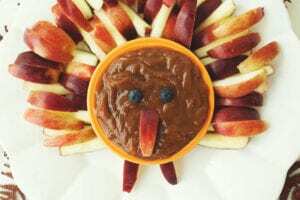 Simply slice a few apples and use a caramel dip to create a cute Thanksgiving turkey. 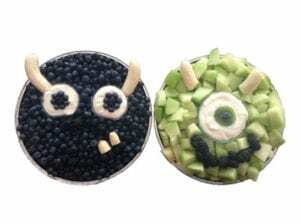 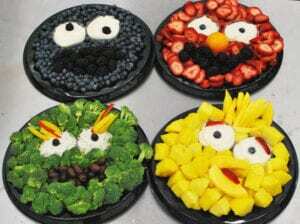 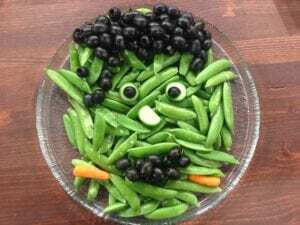 Vegetables aren’t scary, but this Frankenstein veggie tray is! 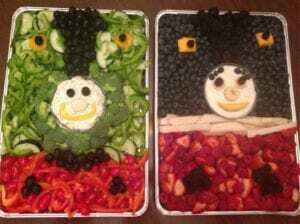 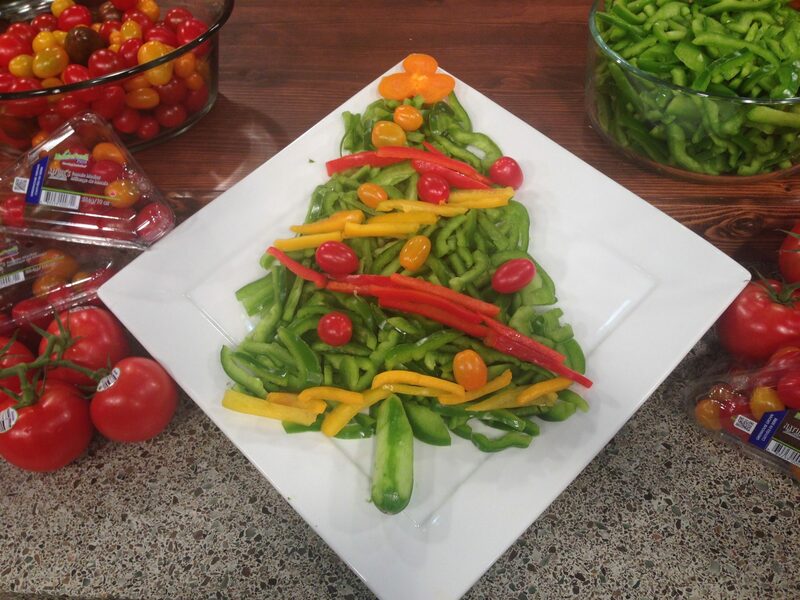 This easy Halloween Veggie Tray is the perfect centerpiece for your costume party. 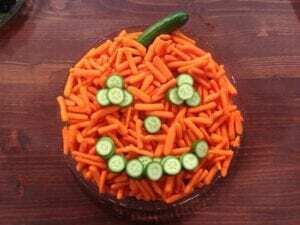 Celebrate Halloween and encourage your kids to eat their veggies with this fun and easy Halloween Pumpkin Veggie Tray. 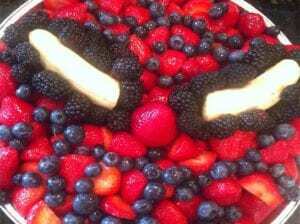 Who doesn’t love the heroes in a half shell?! 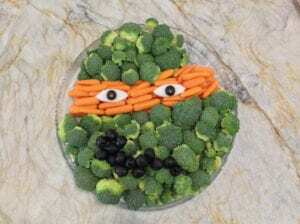 This TMNT Veggie Tray is perfect for a child’s birthday party.